Today I am going to show you a web tool called IFTTT that can make your life easier on the Internet. 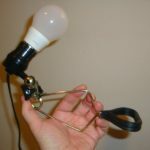 I am certain there are some tasks you would like to make automatic on the web. 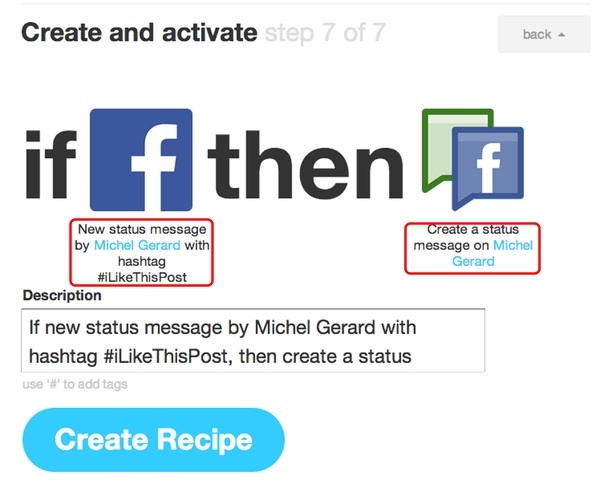 In this post you will learn how to automate your Social Media marketing easily with IFTTT. You may want to send a tweet or a FaceBook status each time you publish a blog post, or create a post on your blog each time you post to FaceBook. A lot is possible with IFTTT which stands for “IF This Then That”. You can create powerful connections with one simple statement “if this then that”, which is called a “Recipe”. In the “Recipe” you write your condition with a “Trigger” and an “Action”. Of course you have to add a few “Ingredients” in the recipe. 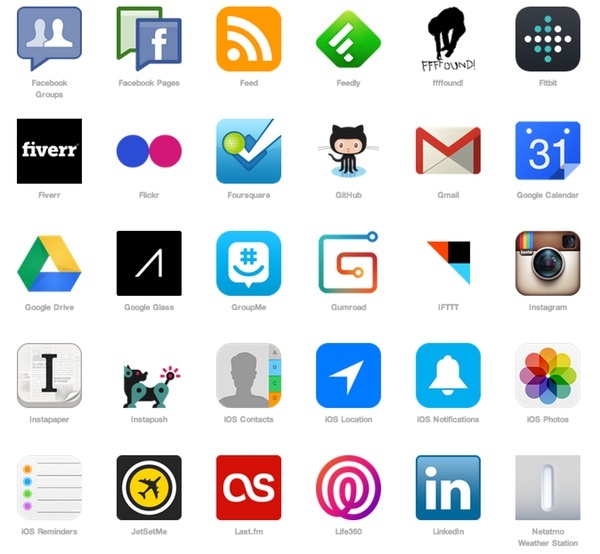 There are at the moment 106 channels in IFTTT that you can use to build your recipes. You will certainly find Twitter, FaceBook, Linkedin, WordPress, Blogger, Feed, Instagram, Reddit, Tumblr and Youtube very useful if you are an Internet Marketer and want to automate your Social Media marketing. There are lots of channels that you can combine in recipes to increase your social media marketing visibility. Let’s create a recipe now. If you don’t have an IFTTT account create one here, and login. Let’s say that you want some of your FaceBook posts to be also posted on your FaceBook page. You don’t want to post everything on your page, but only those profile posts that are relevant to the topic of your page. How can you do that? 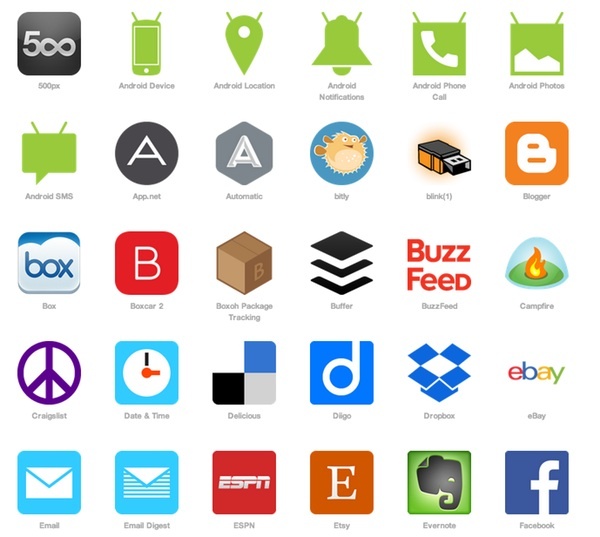 Well, with IFTTT, it’s a piece of cake and I am going to show you how. 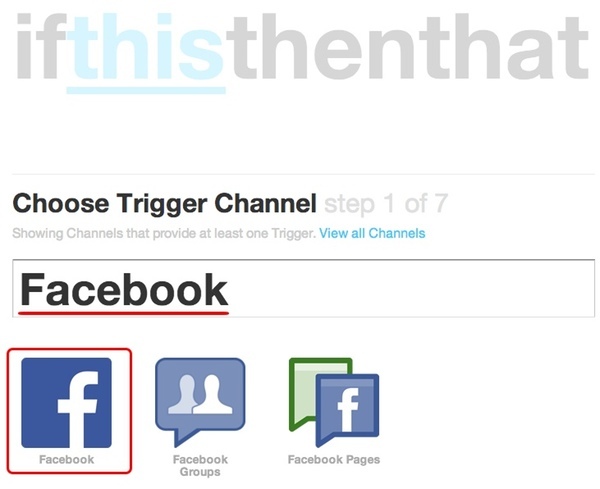 After you have logged in IFTTT, locate the “Create” link at the top of the page and click on it to get started. Notice that the formula “IF This Then That” is all you have on the page. The blue “this” is clickable. Click on it. On the next page type “Facebook”. 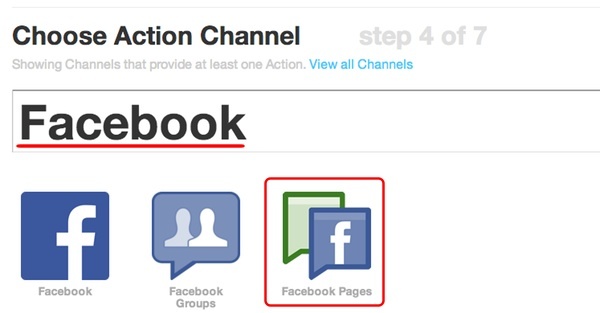 You are shown 3 possible channels for FaceBook, which are FaceBook, FaceBook groups and FaceBook pages. Click on the FaceBook icon. It’s where you want the posts to be copied from. You will be directed to the next step to choose a trigger. Note: As I have already activated this channel, this page above is displayed. If you haven’t activated the channel, a pop-up will show to activate the application. The process is straight forward, just a few links to click. – New status message by you. – New status message by you with hashtag. 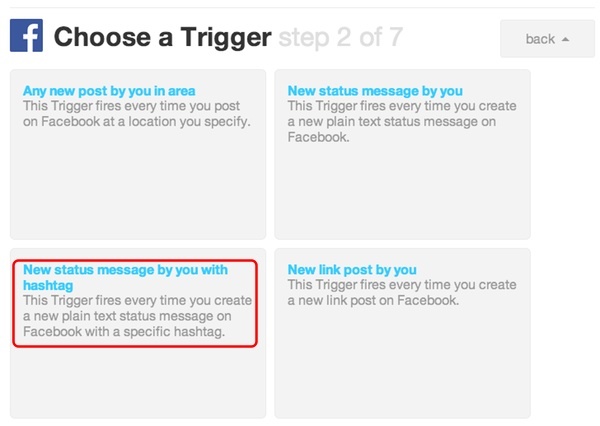 These 2 options trigger fires every time you create a plain text status message on your FaceBook profile. It doesn’t if it is an image or a link, there are other options for this down the page. You don’t want to have your family and close friend posts to be copied onto your FaceBook page, so you need to tell the application when to post on the page. This is done with the “hashtag”. You will see step 3 of the process. 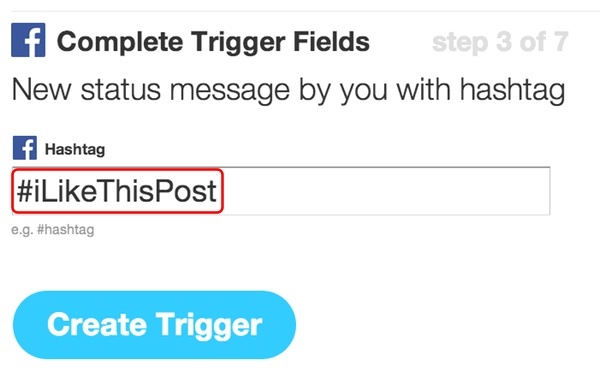 Click the “Create Trigger” blue button. Now, you can see that the first part of the formula is completed. 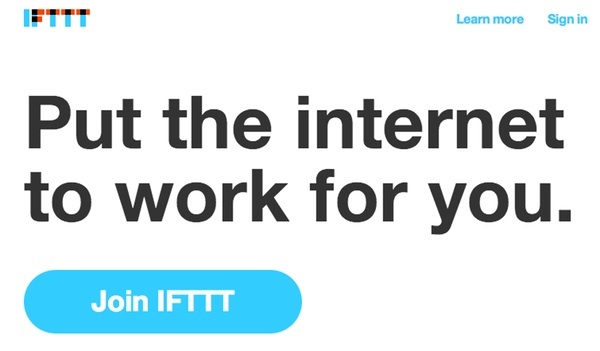 You need to tell IFTTT what to do then. Click on the “that” blue link. You have now to choose your “Action” channel. You want to post on your FaceBook page, click on FaceBook pages. It will ask you to activate the channel, which I am going to do. Click the “Activate” blue button. 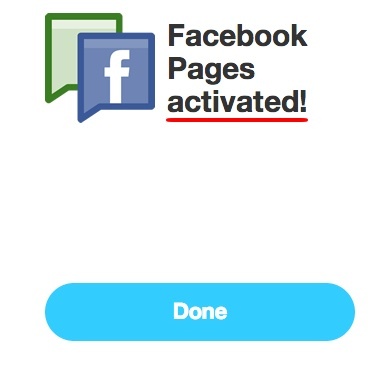 On the pop-up you will have all your pages showing in a menu (providing you have already activated the FaceBook channel). Select the page you want to post to and click the “Update” blue button. Click the “Done” blue button. Click the “Continue to the next step” blue button. As you can see that’s quite a lot of clicking, but that’s very easy. You are now on the next step, which is “Choose an Action”. 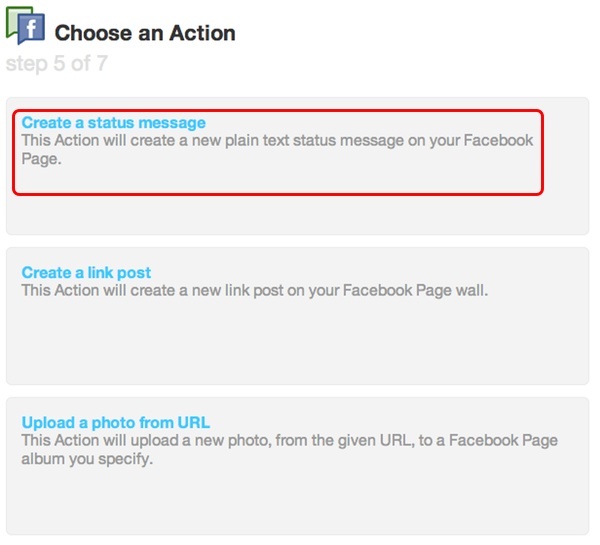 You want to “Create a status message” to match the text message you post in your FaceBook profile. The next step is to “Complete Action Fields”. It is where you tell the application what to have in the text message for your FaceBook page. The different “Ingredients” you can use in your “Recipe” will show in a menu. You have 4 ingredients available. 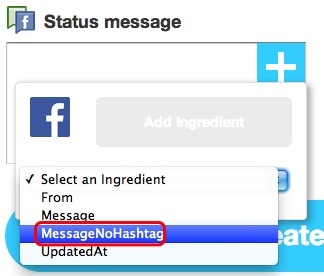 Select “MessageNoHashtag” and click “Add Ingredient”. In this example I have also added “From” and “UpdateAt”. 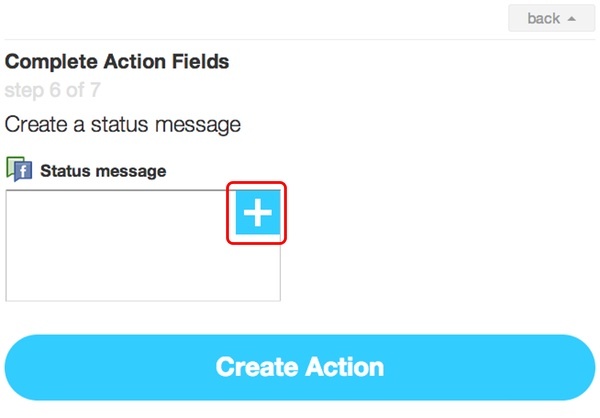 You can now click the “Create Action” blue button. This is the seventh and last step of this process. Click on “Create Recipe” blue button. If for some reason you want to turn-off the Recipe, click on the first button and it will turn grey. Make sure that the “Recipe” is active. Go to your profile and post a status. If you do not add the hashtag or misspell it, the post will not be copied to your FaceBook Page. This is the post on the FaceBook Page. Notice under the Name “Posted by IFTTT”. 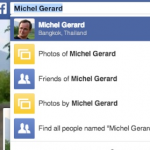 The post is from Profile “Michel Gerard”, dated “May 27, 2014 at 07:15PM”. If this is something you don’t want to show, you may edit the recipe and only leave the “Message” option without the hashtag. 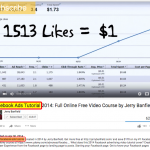 I hope you have found this tutorial about how to automate your Social Media marketing useful. Happy Birthday To You .. I Wish You Many Happy Returns, Long Life And Prosperity!!! Hope it ia an awesome day!! May it be filled with much love & happiness ! !